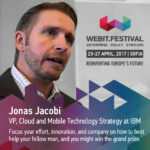 The VP for Cloud and Mobile Technology Strategy at IBM Jonas Jacobi. If you don’t like change, you are going to like irrelevance a lot less. A famous quote from the former CEO of Ford Alan Mulally that is more than relevant for today’s age of incredible transformation, both for companies and for individuals. As the Fourth Industrial Revolution is expanding at full speed more and more established enterprises are struggling to transform their existing activities into a more digital businesses. 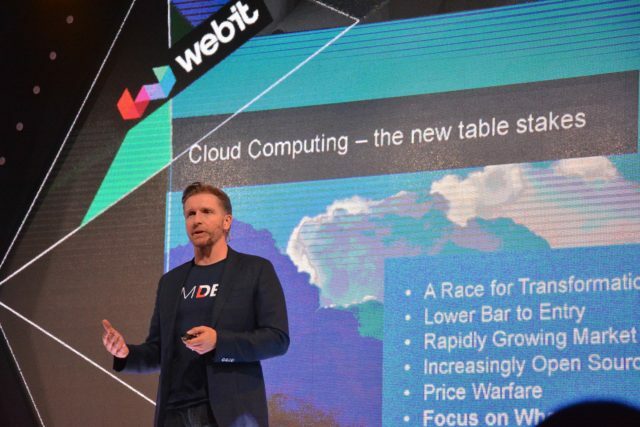 During Webit.Festival Europe our guest had the chance to have these processes explained by the Vice President for Cloud and Mobile Technology at IBM Jonas Jacobi. 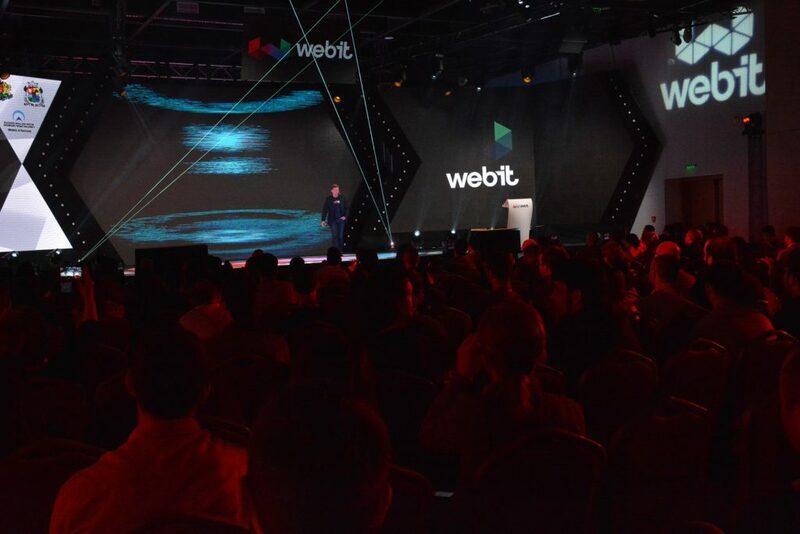 His lecture walked us through the latest trends in Cloud Computing, Internet of Everything and Artificial Intelligence that are going to transform the life as we know it today. According to him, we as users tend to hold on things, whether physical or not, for way too long. And what that does to us and our corporations and companies is that we are holding back the opportunity to realize the future. “It is important to realize this. If you look at where you are and where you want to be make sure to let go of the past to move on to the future”, the expert said. He reminded that Cloud Computing is actually not a new thing, but we can all give credit to Amazon for making this the number one priority for many companies today. What is important to understand about Cloud Computing is that it is now a must have thing. The Cloud Computing era brought forward a process, called Digital Transformation. A lot of established companies now go through the rapid attempt to digitalize themselves and there is a real race to transform. The other thing that Cloud Computing brought is the lower bar for entry in the space of technology. If we go back 10 or 15 years ago, it required a much bigger minimal investment to try to launch a service. In the ever evolving markets there is a price war and ultimate race to the bottom. As soon as a company comes with a low price, everyone try to chase after. The markets are growing faster than we can actually imagine thanks to trends, such as IoE and AI. 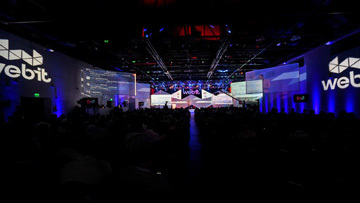 “What that means for all the cloud vendors is that they have to focus on what makes them different. That is the key thing to succeed. It can not all go down to zero in terms of revenue from our services so we have to differentiate”, said Jacobi. The important thing when we look at the things popping out on the market is that they go through some form of evaluation of the market. In the case of connected devices this process is called IoT Chasm and it follows several steps. A new trend comes out and everybody is super excited. We start with the honeymoon period which is like coming to a new place and saying that you are going to stay there forever. Then you start noticing some functions that doesn’t suit you well. But after a while you realize that you are committed to the technology. Once the commitment is a fact, we get into those deeper issues, and as soon as we go through them we get into the major adoption curve of a new technology. Connected cars present a giant market opportunity. But now there are even 3D printed self-driving minivans that are with built in AI. We can talk to the bus and communicate with it. We can even ask for a good restaurant and it will take us there. Now technology is not disrupting just one business, but several at the same time. If you can 3D print a car then you disrupt manufacturing, traffic planning, optimizing traffic fall and making it greener. This is where we are heading. Soon we will just be able to download a blueprint and go print our own personalized car in the shop. The other giant trend in technology is the rise of Artificial Intelligence. And while many people perceive the adoption of such technology as a start of the battle between the man and machine, the reality is that AI will augment humanity and human intelligence, not replace us. “At IBM we are working a lot with AI on healthcare. AI can help doctors reach a decision faster, get access to more information faster and anything else in the market. In this case it is an opportunity to improve and safe life of many”, Jacobi said. He thinks that cognitive systems do not think for us, but help us do research and make better decisions. The IBM expert said that no matter how hard we resist and try to push back change, it will inevitably come to us, so we should instead endorse it and bring it in. Because the sooner we adopt new technology, ideas and business models, the faster we can evolve as companies and individuals. 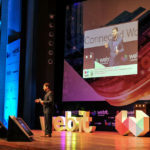 If you want to keep up with the latest trend in the world of digital economy and technology, then Webit.Festival is the right place for you. 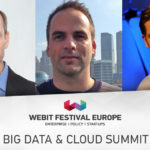 Visit our website and book 2 of our Super Earlybird tickets for Webit.Festival Europe 2018 for just €100.